Het Nieuwe Instituut houses the largest archive of architectural drawing and models in the world. 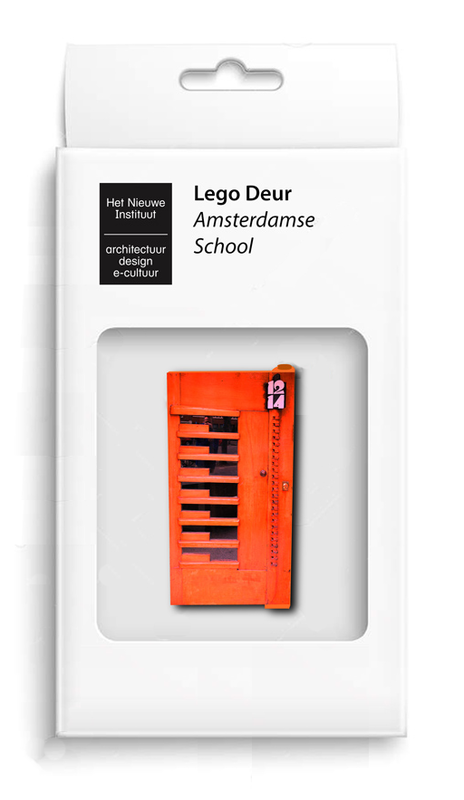 I developed the idea to 3D print unique LEGO blocks based on the work of famous Dutch architects. 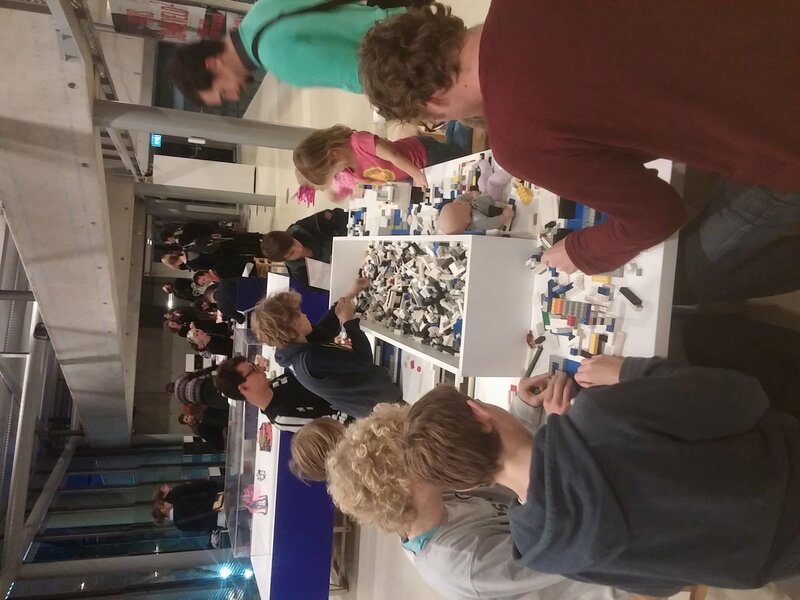 These would be used to engage children in an exhibit about plastic at Het Nieuwe Instituut, while at the same time creating a new options for architecture education. Now that the patent on LEGO has expired anyone is allowed to create LEGO compatible blocks. We created two lego blocks. The first was a swan that was based on Skoatterwald by architect Sjoerd Soeters. 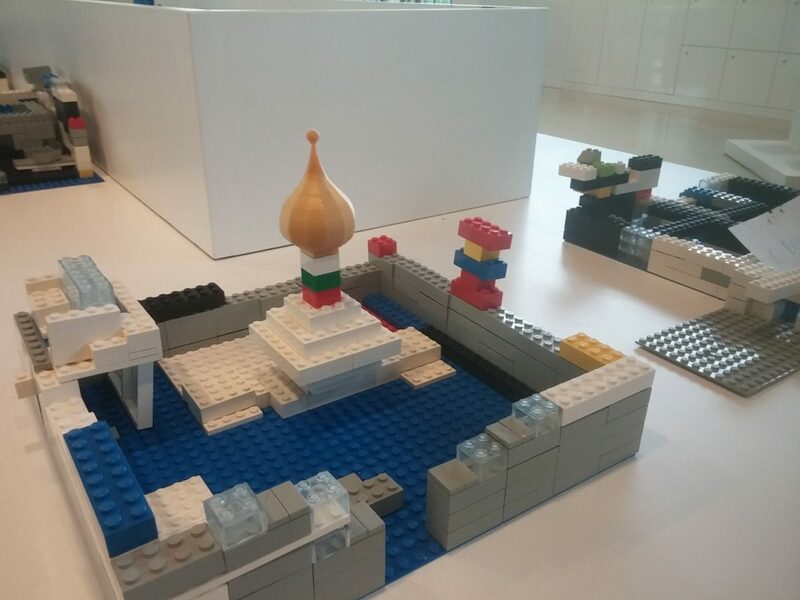 The second was a small minaret that was based on the “Russian palace” by architect Piet Blom. To make this possible a number of steps were taken. 3D models of the parts were created. Oddly enough the archive hardly contained any 3D models of buildings, even though architects have been working with 3D software since the 60’s. Some models had been created for an Augmented Reality app, but because of copyright issues these couldn’t be reused. Luckily I was allowed to ask artists to develop new 3D models of classic buildings form the archive, this time under licensing that allowed re-use by anyone. 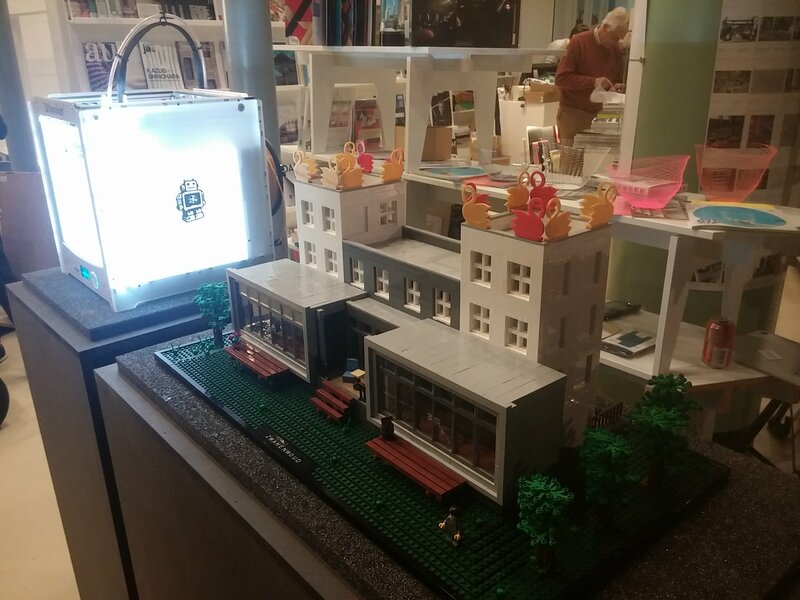 A 3D printer was bought to create the LEGO pieces, with the idea that the sale of the blocks would help recover the cost of the machine. We explored the business model. A deal was struck with the museum’s shop to sell the parts there. A packaging design was made that could easily be adopted to new future parts. 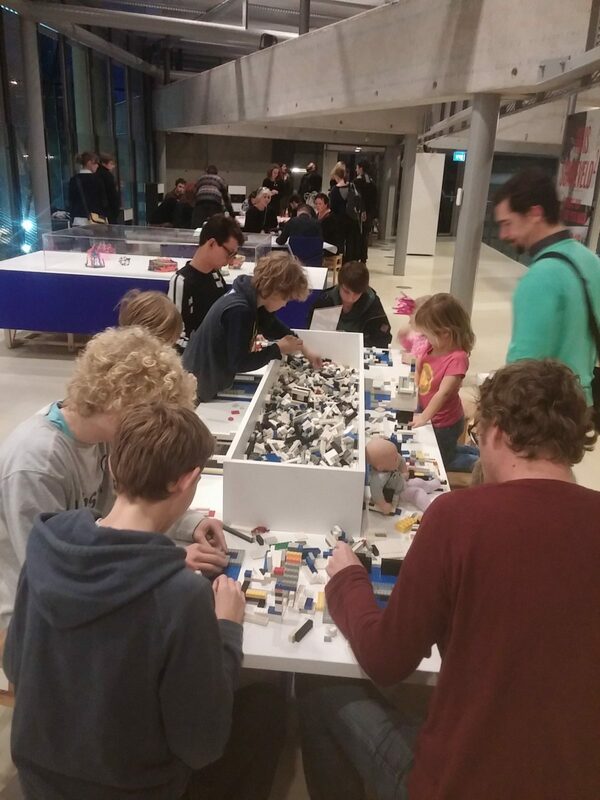 Finally we mixed the 3D printed bricks with to the normal Lego in the museum’s lego play pit, to get children interested. This project wouldn’t have been possible without the support of Behrang Moussavi, the head of the archive, and Flora van Gaalen, the producer of the exhibition on plastic. 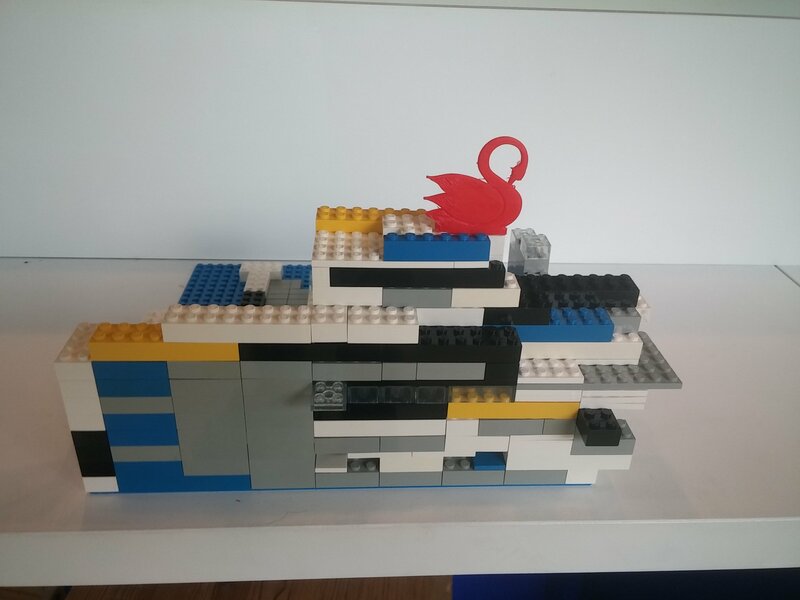 Special thanks to Niek Geurts who went above and beyond al expectations in making the incredible LEGO house.